This page is filled with several free knitting patterns beginners will find very doable. Easy to understand and fun to practice their budding knitting skills. There are also several inexpensive knitting patterns that are perfect for the beginner and very beautiful to boot. I’ve also included knitting supplies to help you get started. Even some knitting novelties that many knitters just love to own. So have fun on this page and maybe even find your next knitting project beginners or anyone else can feel proud of. Knitting is something I have loved and have been doing for decades. But being a knitting beginner is wonderful because it means you have an exciting journey ahead of you. People of all walks of life knit. Both women and men knit. Knitting is done with two sticks with pointed ends, made of metal, plastic or wood. Or you can use circular needles or double pointed needles or knitting looms. There are so many ways to knit. All you have to do is find the one that fits you. It is a fun journey. I hope you enjoy learning about knitting and maybe one of these beautiful inexpensive or even free knitting patterns beginners will try and no longer think of themselves as beginners at all. There is nothing so rewarding as successfully creating your first creation. Knitting is a real hands on experience and thread intertwining through fingers experience and clicking clacking knitting needle experience. It is simply the best. Welcome to the joy of knitting. It is never too late to learn! This is a very stylish and easy free knitting patterns beginners are going to love. This little cardigan does not use a lot of stitches and the pattern is easy to follow. You can switch up the yarns you use and make it any color you like or as you can see in the pick you can use a variegated yarn or a even a stripping yarn. And the cardigan is so easy to put on and take off your baby. So it is perfect. You could even make several of them. It is great to have some on hand for the next time you need a baby shower gift. The pattern is a free digital download at Ravelry. If you are not familiar with Ravelry it is a great place that knitters and crocheters to show off their accomplishments but also to sell their patterns or as is the case here. Give the patterns away for free. So if you are not a member already, sign up for a free account and then download this beautiful free knitting patterns beginners will easily master. 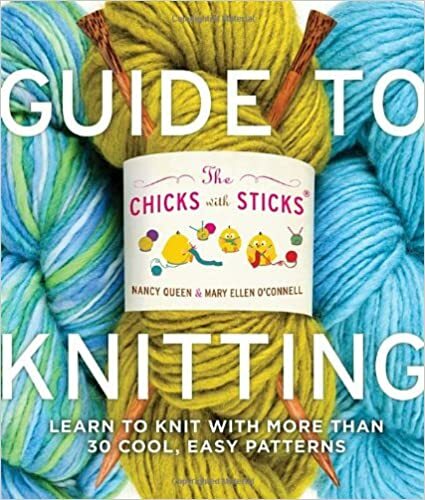 The Chicks with Sticks have been around for a while now, helping new knitters or wannabe knitters get comfortable with their new craft. They speak to you in a language that is fun and understandable for the new knitter with care to make sure you continue to enjoy yourself. This book is a complete guide to learning to knit. It is filled with knitting patterns for beginners that will not make you look like a beginner. And they have instant gratification in mind including projects that can be completed in just a couple days. The book includes 30 projects that even knitting beginners are sure to enjoy and quickly master. Free knitting patterns beginners scarves are very popular. They are perfect for learning and this pattern is easy to remember. It is important to have a pattern that repeats itself when you are learning because you can be so easily distracted and lose your place. That can be very frustrating for a new knitter. And don’t think free knitting patterns for beginners are ugly or not as wonderful as a very expensive pattern. The difference is the type of stitches used and the combination of those stitches. Fewer stitch types and simple combinations make it easier to learn when you are new but not at all less pretty. You can use beautiful yarn and any color and get a really beautiful beginner project. And if you are having fun with your beginner project you will enjoy the experience and continue knitting and one day take on a more difficult project with success. This expensive looking scarf pattern only uses the knit and purl stitches in a repeating pattern. It is the perfect free knitting patterns beginners will master quickly. And you can use different size needles and really switch it up. Enjoy this pattern. Fun and wonderful knitting patterns for beginners. Teaching you how to knit but also how to enjoy knitting. Several different kinds of patterns and great projects that will make you enjoy your new craft. A beautiful set of knitting needles, straight and circular. Everything you would need to get started with. The needles are interchangeable and come in an Airplane safe travel box. Plus there are stitch holders, extenders so you can have any length you need for your pattern and even button ends. This is a beautiful 4 1/2 star rating Amazon rating. This is a wonderful free knitting patterns beginners are going to really enjoy. You will definitely call yourself a knitter when you finish this gorgeous throw. And it is made in such away that you can complete it in a single devoted day of knitting or in a weekend of more casual knitting. Either way it will be done quickly and then it will be a warm snuggle in your favorite lounge chair with a good book (it just began to snow again) or a great present in a hurry. The only stitch use in this pattern is the knit stitch and it is done quickly because you hold four strands of thread in your hand as you knit. It is exactly the same as a single strand knitting except it is a really chunky size and knits up very quickly. You could use any color you want. In fact you could use four different colors if you wanted. The ideas could really explode as you enjoy making this Free Knitting pattern for Beginners. This is a lionbrand.com pattern, so if you don’t already have a free account for lionbrand. Don’t hesitate to sign up, you will have a ball going through all their products. There is no limit to what you can use for your easy knitting patterns for beginners. Unending choices of color, soft, textured, coarse, knobby, natural, painted, cotton,silk, mohair. You will go crazy choosing what yarn to use first. But if I could make a suggestion. Don’t buy a super expensive yarn to learn on. Choose a good stock yarn, a synthetic and try your knitting patterns for beginners. Then when a mistake happens it is not the end of the world and you haven’t spent much money. Here are some choices to start with. This is an excellent way to start knitting. Etsy crafters have provided these innovative and simple knitting learning kits. The kits include everything you need. I mean everything. They include the pattern, the yarn, the knitting needles, they even have a pattern gauge which is a ruler to be sure you are in the appropriate gauge for the pattern. Too big or too little and your finished product will be the wrong size. These are simple and easy to understand and absolutely beautiful finished products. Etsy understands easy knitting patterns beginners need to be able to feel secure in this new learning adventure. And they want your success. So they give you everything you need. Check this out for sure. And there are more great kits. Check Here. This is a step by step instruction video that shows you how knit this great free knitting hat project. She works with you through every step of the pattern. And it is such a beautiful pattern that will really thrill the recipient of such a thoughtful gift. This pattern is a bit more advance than the really simple patterns, but this video makes it very doable for even the beginner. Just take your time and re-watch the video to help you along. If you want the Free knitting pattern it is in the comments, but to make it easy on yourself. I’ve put the link right HERE. When you are ready to spread your wings and try even more knitting projects beginners can be proud of or even a more advanced knitting pattern you may want to try some really nice yarn. A bit more expensive but a bit more beautiful and special to boot. And you may not know this now but when you become a knitter you soon will become a yarn hoarder. I’m not kidding. Knitters can’t help it. 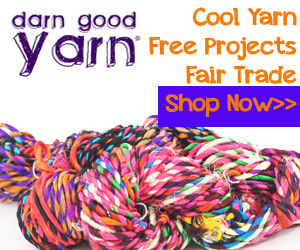 We love yarn. So enjoy your new found addiction. I do. Craftsy has many beautiful Yarn choices. 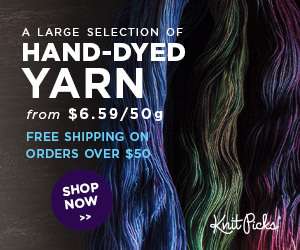 If you want to continue your search for your next beautiful yarn choice, just Click Here. One of the best knitting patterns for beginners and experienced knitters both, are baby bootie patterns. They are small and quick to finish giving you the instant gratification that is so appealing to a new knitter. And they are so adorable that you want to knit booties over and over again. Here are several favorite pattern books. Knitting Patterns For Beginners on eBay Too! KNITTING PURE AND SIMPLE - Knitting Patterns - Your Choice! 18 Knitting Patterns For Beginners on eBay Too! I only learned to knit about 5 years ago. It’s just as addicting as my beloved crochet! These patterns look great for the practice I need. I am very happy you are a knitter as well as crochet. I do both as well, but knitting is a first love and something I wish I did a lot more. If we were closer we could knit together. fun! My grandmother taught me to crochet. Knitting has always been difficult for me. Maybe now that I am old, I can slow down enough to learn. Maybe….lol. Great post! Oh I am very glad to hear you are able to both crochet and knit. Sometimes the loyalty to one outweighs the desire to learn both. good for you. I do both, love both. I think I lean a little to the crochet side though. These are great for beginners. thank you for your comment Heather, I like both too. but I seem to lean toward knitting. It’s great for sure.